British qualifications never seem to stay put for very long as politicians are constantly wanting to make changes to “improve” things. such as the recently announced T Levels in England – heralded as the technical equivalent to A Levels from September 2019 and changes to the GCSE grading system in England from this year. The British system of qualifications is very complex. Scotland has always had a different education system to that traditionally offered in England, Northern Ireland and Wales. To add to the complexity, devolution means that Wales, for instance, offers other educational opportunities, such as the employability skills focussed Welsh Baccalaureate. When you add all that to the natural complexity of the industrial, commercial and public service jobs landscape, the inevitable result is an alphabet soup of different, competing qualifications. Parents understandably find all of this confusing. This article aims to cut through this confusion. The first thing to get clear is the distinction between “academic” (sometimes called “general”) and “vocational” qualifications. Then we’ll look at the two main types of vocational qualifications. Academic qualifications are the easiest to understand. They are sometimes referred to as general qualifications and are associated with the traditional education system, which includes GCSEs, AS & A Levels (called Nationals and Highers in Scotland) and a degree from a University or Higher Education Institution (HEI). Other general qualifications that are less well known (often depending on where you live) are the Cambridge iGCSE, the International Baccalaureate (IB), the Extended Project Qualification (EPQ), the Cambridge Pre-U Diploma and, in higher education, the Diploma of Higher Education. Typical academic courses include things like English, History, Biology and Art. The main characteristic of these qualifications is that they focus heavily on gaining knowledge and are assessed by exams. In this country, there is a strong bias towards these qualifications which results in many young people who would be better off on a vocational course rather than studying (and having problems with) academic subjects. Vocational qualifications are much more focused on skills and therefore not so much on what you know but on what you can do. Rather than covering a general subject, they are relevant to a specific job sector and focus on the practical abilities you need to get a job in that sector. To give you an example – while a Mathematics GCSE teaches you a broad range of mathematical principles to develop your overall understanding of maths, a vocational qualification such as Level 3 Diploma in Accounting teaches you the maths skills you need as an accountant (alongside the other skills you need in such a role). You shouldn’t take these distinctions too literally. It is a matter of emphasis and focus. Vocational courses do (of course) include knowledge and some academic courses have a vocational flavour. Examples would include GCSE Art, A Level Business Studies or a BSc degree in Engineering. 4) an introduction to an industry such as engineering, social care etc. The first two are very specialist and are often more relevant to adults than school leavers. They are really special examples of type 3. Types 3 and 4 are the main categories of vocational qualifications for young people. Type 3 qualifications are sometimes spoken about as “technical” or “occupational” qualifications. They will usually have the word “certificate” or “diploma” in their title. ​NVQs are a well-known example of this type of qualification. They are very practical and job specific and much (if not all) of the learning goes on in the workplace under the guidance of an experienced member of staff. Type 4 qualifications, on the other hand, are studied full time in a sixth form or college and are sometimes referred to as “applied general” qualifications. The qualifications awarded to vocational students (sometimes referred to as “learners”) are at different levels of difficulty. This is to ensure that they can start learning at the right level and then if they want, progress to the next stage. The organisations which are licensed by the government to issue these qualifications are known as awarding bodies (or examination boards) and examples include City & Guilds, OCR and Edexcel/BTEC. To find out how one qualification compares to another you need to look at the level, size and content of the qualifications. This holds good no matter which awarding body has issued the qualification because all vocational qualifications must fit within an official “framework”. Around the world, qualifications are mapped by individual countries against frameworks to create registers of approved qualifications. This means that they can ensure qualifications, exams and tests which are funded through government-backed education are fit for purpose. These frameworks enable qualifications to be portable ie employers and others in different countries can understand what individuals can offer through the services of organisations like Naric, the National Recognition Information Centre, and sister organisations across the EU which help map and certify qualifications to different frameworks. This is particularly important for large sized employing organisations. so they can check qualifications are appropriate. England uses the Regulated Qualifications Framework (RQF) to admit general and vocational qualifications onto the Register of Regulated Qualifications which is regulated by Ofqual, the “exams watchdog”, a UK Government department responsible for accrediting qualifications. These include GCSEs and A Levels. Northern Ireland‘s equivalent to Ofqual is the Council for the Curriculum, Examinations and Assessment (CCEA) also uses Ofqual’s RQF. Introduced in 2015, the RQF replaces the previous Qualifications and Credit Framework, and the National Qualifications Framework (2008). Wales has its own version of Ofqual, Qualifications in Wales, the regulator of non-degree qualifications and the qualifications system in Wales. Like Ofqual, they have a register of all qualifications which have been approved or designated for teaching in Wales for learners under 19, excluding Higher Education. QiF oversees the Qualifications and Credits Framework for Wales. Scotland has a different system for qualifications, the Scottish Credit and Qualifications Framework which maps out the range of qualifications including Nationals and Highers (similar to GCSEs and A Levels) as well as vocational qualifications and keeps the database of registered qualifications. Whereas the rest of the UK has nine levels, Scotland’s Framework has 12.levels. Higher Education is less complicated and uses one approach across the UK. It has its own regulatory body, the QAA, (Quality Assurance Agency for Higher Education) which is responsible for ensuring world class quality via the Frameworks for Higher Education Qualifications (FHEQ) which maps to similar frameworks elsewhere in the world. Remember that not all qualifications and subjects will be available at a particular school, college or apprenticeship training centre. To find out which qualifications are available locally you can use the course search tool at GOV.UK or search the UCAS Progress database. Remember too, that from September 2019, students in England will be able to take T Levels, an alternative technical qualification to A Level and offering 15 different routes so if your teen is more suited to this type of learning and has a keen interest in one of these subjects, T Levels might be just the thing for them, as long as the path to university is properly open to them if they want it. (Time will tell on that front!). The great majority of these are the well-known National Vocational Qualifications or NVQs. NVQs are work-related, competence-basedqualifications. They reflect the skills and knowledge needed to do a job effectively and show that a candidate is competent in the area of work the NVQ “framework” represents. NVQs are based on national occupational standards laid down by organisations called Sector Skills Councils. These standards are statements of performance that describe what competent people in a particular occupation are expected to know, understand and be able to do. There are no age limits and no special entry requirements and, within reason, NVQs do not have to be completed in a specified amount of time. They can be taken by full-time employees and apprentices or by school and college students with a work placement or part-time job that enables them to develop the appropriate skills. Occupational vocational qualifications are normally assessed through on-the-job observation and questioning. Candidates also produce evidence to prove they have the competence to meet the standards required. Assessors sign off units when the candidates are ready. The assessor tests candidates’ knowledge, understanding and work-based performance to make sure they can demonstrate competence in the workplace. So occupational qualifications (normally an NVQ) are intended for young people who have a clear idea about an occupation they want to pursue and are ready to specialise. They prepare students for a specific job role through workplace training (e.g. an apprenticeship) and assessment to confirm occupational competence. Although NVQs are technically being slowly phased out (see green box above) the replacement qualifications will often be similar (or exactly the same) in the way they operate so I fully expect people to use the term NVQs for many years to come. Some occupational qualifications provide a ‘licence to practice’ e.g. gas installation or veterinary nursing or offer exemption from professional exams e.g. accountancy or engineering. They may also support progression to a specialist degree or higher education (HE) qualification that gives entry to an occupation e.g. many health professionals. They are available at Levels 1 to 3 and are normally studied full time in school sixth forms and colleges. Those at Level 3 can be taken alongside AS and full A levels or on their own. You may hear them referred to as Advanced General Vocational courses. After completing one of these a young person can choose to either enter employment or progress to a higher education course. In practice, BTEC and OCR Cambridge courses are the most widely seen and cover the biggest range of occupations. Tech Levels are not a new qualification. Certain level 3 applied courses are being added to a government list of approved “Tech Levels” and only courses on this list will contribute towards the award of a TechBacc. What this means in practice is that there is a range of qualifications that your child may be able to study after Year 11 and even more importantly, that they could progress on to later. The chart below shows some examples of how different qualifications compare to each other. This is followed by a brief description of each of the main kinds of qualification. Depending on what subjects and levels young people have studied, they may be able to move between different types of qualification. For example, they may be able to move on from a general education course at Level 2 (GCSEs) to a BTEC Diploma at Level 3 (applied) in Sixth Form or College. After that, they might progress to a Level 4 Apprenticeship which includes an NVQ (occupational). The chart is a general guide, so when applying for courses and Apprenticeships, you should always check carefully the specific entry requirements needed. In 2015 some quite major changes to A levels and AS levels took place,F and our blog piece at the time will help you understand what happened. NB: for NVQs, please see the Occupational Qualifications section above and for the Technical Baccalaureate, please see the TechBacc section above. You can take these courses in schools and colleges from age 14+. You can progress from Entry level 3 to level 1 qualifications. Entry level qualifications are offered in Maths and English as well as vocational subjects such as construction, motor vehicle work, career planning or catering. Entry level and Level 1 courses are a part of Foundation Learning. GCSEs are level 1 or 2 courses (depending on the grade achieved) and are available in a wide range of academic and applied subjects. This qualification is usually taken in Year 11, although they can also be taken at college at any age. They are usually achieved in 2 years and are graded from A* – G. A very high percentage of school pupils take these qualifications at the age of 16. They are the most common and well know of qualifications. GCSE grades are used as an entry qualification for jobs, training and courses. Students may be able to study Applied GCSEs at some schools and colleges. These are GCSEs which relate to a broad area of work (such as Engineering or Tourism) and are available in nine subjects. They allow students to learn in a hands-on, practical way and are mainly assessed through coursework, rather than exams. Applied GCSEs are double awards, equivalent to two traditional GCSEs. Please note: as highlighted at the start of this article, England is changing its GCSE grading approach from this year from A to G to 1 to 9. The iGCSE is an internationally recognised qualification for pupils in the 14-16 age group. Cambridge iGCSEs are now taught in more than 1,000 UK schools as an alternative to standard GCSEs. In state schools iGCSEs are known officially as Cambridge International Level 1/Level 2 Certificates. Independent schools can offer either Cambridge iGCSEs or Cambridge International Level 1/Level 2 Certificates. Cambridge Nationals is the new name of OCR Nationals. OCR Cambridge Nationals are exam-free alternatives to GCSEs and A Levels that have an engaging and practical approach to learning and assessment. Students will be interested and engaged by Nationals, particularly by the ‘real work’ style and the optional units available to study which will help them to develop skills used in the workplace. Level 1 and 2 Nationals are aimed mainly at 14–16-year-olds in Key Stage 4. Level 3 Nationals are ideal if your 16–19-year-old son or daughter is staying in education, and has identified a specific job or career path. Your son or daughter may choose to progress from Level 1 all the way through to Level 3, or simply use one or two levels as part of a planned career or education ‘pathway’. And if they’re looking for a place at college or university, OCR Cambridge Nationals are recognised as broadly equivalent to GCSEs and A Levels. At Level 3, Nationals can gain your child UCAS points. A Levels are Level 3 courses and are available in a wide range of academic and applied subjects. They are usually completed in two years and are graded A* to E. A high percentage of learners staying on at school or college study AS (Advanced Subsidiary) and A levels. They can be achieved in two parts; year one is at AS Level. This can be a freestanding qualification in its own right (graded A to E). To achieve a full A level, students need to complete a further year of study called A2. Completing A levels usually allows progress to courses at level 4. A Levels are a traditional route for entry to higher education and training for the professions. From September 2019, students will be able to take T Levels, identified as being an alternative technical qualification to A Levels with 15 different routes available, so if your teen is more suited to this type of learning and subject, this might offer a better opportunity than conventional A Levels, as long as the pathway to university applications runs smoothly! BTEC is a work-related qualification, available in a wide range of subjects. The qualification offers a mix of theory and practical work, and can also include an element of work experience. BTEC Introductory ~ This qualification is available at Level 1 and offers an entry into the industry sector and encourages the development of personal and work-related skills. The BTEC Introductory qualifications are suitable for any student aged 14 plus. BTEC Firsts ~ Available at Level 2, there are currently over 60 BTEC First qualifications available, linked to industry sectors. The BTEC First is suitable for students aged pre-16 and can be taken alongside core GCSE subjects such as English, Maths and Science. BTEC Level 2 Diplomas ~ These are full-time, one-year courses which are equivalent to four GCSEs at grade C or above. The Level 2 Diploma can be taken in a variety of subjects and is often taken alongside one or two GCSEs. Successful completion of this course will enable you to go onto a level 3 course. The qualification is assessed by 100% coursework. BTEC Nationals ~ Available at Level 3, there are more than 250 qualifications for students to choose from. These qualifications are suitable for students aged 16 plus and come in three sizes – awards, certificates and diplomas. 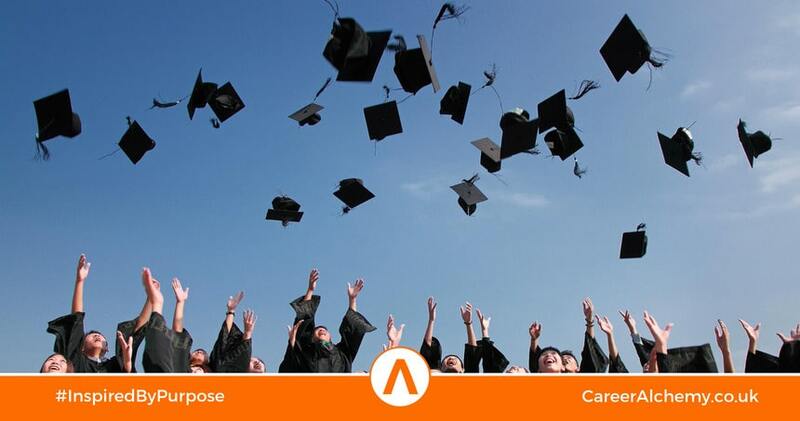 BTEC National Diplomas can gain your child UCAS points for getting into university. BTEC Level 3 Diplomas ~ This qualification offers an engaging programme in one work-related subject area for students who are clear about which vocational area they want to pursue. These are two-year courses which are equivalent to two A Levels. The course is made up of twelve units over the two years and is assessed by 100% coursework. The Extended Diploma has eighteen units and is equivalent to three A Levels. The EPQ can be studied separately or alongside other qualifications like A Levels. It gives students the opportunity to plan and research a topic of their choice as part of a project. It could involve studying a topic from an A Level or another course in more detail or working on an entirely different subject. This is a two-year course which is a popular alternative to A Levels. Over 100 school and colleges offer this qualification which is designed to provide wide-ranging education in a variety of subjects such as science, maths, the arts, languages, geography and history. Unlike A-levels, it leads to a single qualification. There are core elements and six optional subjects. Points are awarded for each of these and added together. You need 24 points or more to get the full diploma, with 45 points being the maximum you can achieve. It leads to a qualification which is recognised by universities and employers around the world. You can visit this site to find out more about theInternational Baccalaureate. Like the International Baccalaureate (IB), this is an academically rigorous alternative to doing A-levels. It’s another post-16 qualification, but it isn’t modular like A-levels and it doesn’t have compulsory components like the International Baccalaureate. It was launched in 2008 in response to requests from UK schools for an alternative to A Level that would fully support successful progression from school to undergraduate study and beyond. It is not as well established as the IB. Students choose three principal subjects out of 27 and they can also take additional subjects and short courses. Alongside these, students also complete an independent research project and a global perspectives portfolio. The grading scale is Pass, Merit and Distinction. These new qualifications are being introduced to address employers’ concerns about young people not knowing the essentials in English, Maths and ICT. They offer your child the practical skills they’ll need to get the most out of their education, future employment and everyday life. For example, they can learn how to give presentations using computer software, express ideas to work colleagues or potential employers or use online banking. Functional skills are usually studied as part of another qualification or course. They can be at different levels depending on what course they are studying. They are also a mandatory component of all Apprenticeship frameworks in England. Since September 2010 functional skills have also been available as separate qualifications in schools and colleges. A Bachelors degree (sometimes known as a ‘first’ degree) is the most popular qualification to study after A levels. They are available in a very wide range of subjects and vocational areas. They are the minimum entry requirement for many professions. A Bachelors degree usually lasts three to four years full-time or six to nine years part-time and is usually studied at university or a higher education institution but can sometimes be taken at an FE college. The most common titles are Bachelor of Arts (BA) and Bachelor of Science (BSc). Most Bachelor degrees have the option to be studied ‘with honours’. Honours (Level 6) are awarded when 360 ‘tariff points’ are achieved, compared to a non-honours degree (Level 5) with 300 points. The extra points are most commonly awarded for a research project such as a dissertation. The honours element is abbreviated as part of the degree title e.g. BA (Hons). You can do a Foundation degree course at college, university, in the workplace or through a combination of these. Some are also available as distance learning courses. The qualification is often favoured by students who want to work and study at the same time or for those who don’t meet the standard entry requirements. On completion of a Foundation Degree, there are opportunities to continue your professional development through progression to other professional qualifications, or to an honours degree on either a full or part-time basis. These are courses at level 4/5 which are mainly linked to vocational areas such as nursing and social work. Certificates and diplomas are qualification levels within a degree. One year of a degree equals a CertHE or two years equals a DipHE. These are ideal if you want a quicker qualification, don’t want to commit to a full degree or need to withdraw part way through your course. Also level 4/5, HNCs and HNDs are roughly equivalent to one or two years of a degree. With a strong focus on practical skills and specialist knowledge related to the industry/sector of choice, HNCs and HNDs can be studied around the world and are among the most highly regarded vocational qualifications within and outside of the UK. However, they retain a more academic element in that they are delivered by universities and further education colleges, and have been developed to give students the opportunity to easily “top up” to an honours degree. Following a Bachelors degree, it is common for students to continue their studies with a Masters degree (Level 7) at a university. This typically takes one year full-time and two years part-time to complete. The two most common titles are Master of Arts (MA) and Master of Science (MSc). You can choose to study the same subject area to extend your knowledge or there are a number of conversion courses which will allow you to study a totally new subject. Professions such as teaching, law, psychology, social work and I.T all have conversion courses. An MBA is another type of Masters degree but entry onto the programme requires business work experience in addition to a Bachelors degree. It is designed for professionals who want to progress to executive and senior management positions. Post Graduate certificates and diplomas are also level 7 courses that allow learners to build on the skills and knowledge gained on a first degree and are available in a wide variety of subjects. They are required for entry to some professions for example Teaching (PGCE) and Law (GDL) and take up to a year to complete full time. A Doctorate, awarded for achieving a Doctor or Philosophy, (PhD), is the highest level of academic degree. At Level 8, it requires students to produce an independent research project which can take years to complete. The qualification is highly regarded and many students use their Doctorates to become academics or industry researchers. Doctorates (PhDs, level 8) are a ‘post graduate’ degree offered at Universities. This means that the learner would first need to get a degree qualification – then continue with their research and study to obtain a PhD.